nice. 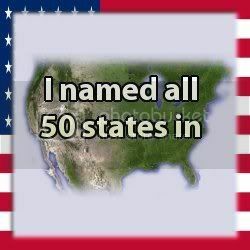 I got all but two - pesky Ohio and Wyoming. Sheeesh! Are you implying that I get cocky about things?